I know Easter has come and gone (I hope yours was happy), but I could not let this image go un-posted. 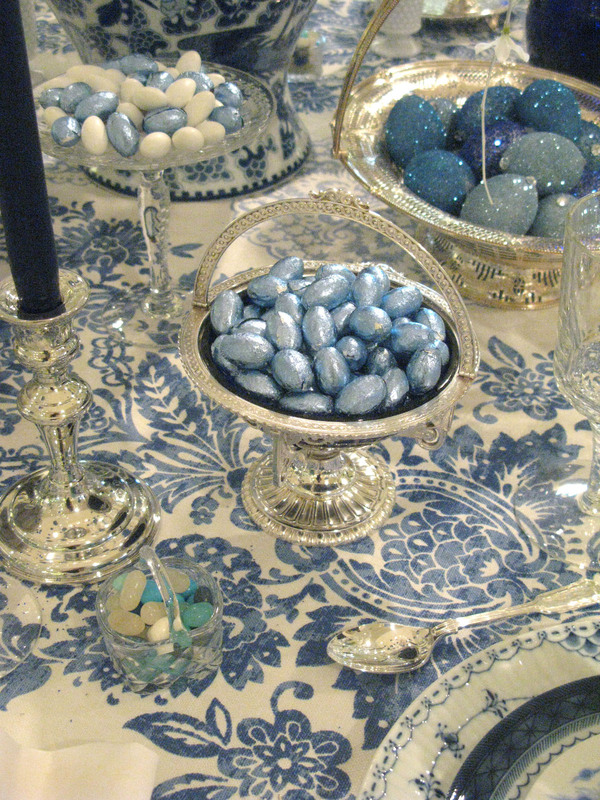 Have you ever seen such a divine use of a blue and white ginger jar? So whimsical, so elegant, so fun. Eddie Ross strikes again...really, Eddie, how do you do it all? You are like the Ryan Seacrest of interior decor and I mean that in the nicest, most respectful, I'm-in-awe-of -your-multitasking way. Thank you so much for posting on this wonderful table. What fun. He does an amazing job all the time. Blue and white-my favorite! So clever of Eddie-the layering of colors and textures is just perfect. thanks for sharing. 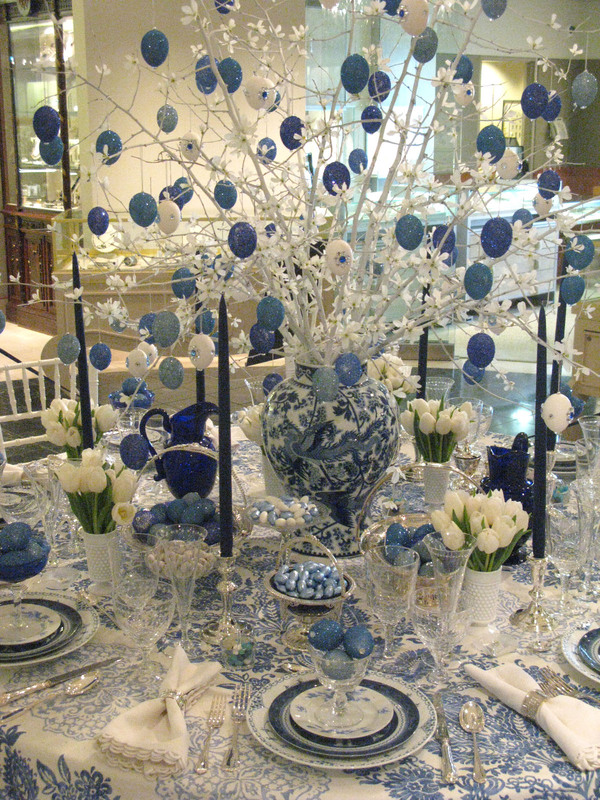 This is hands-down the best Easter tablescape I've EVER seen. LOVE it. Thanks for sharing, Daniela! WOW. this is my favorite Easter table yet!!! It's fabulous. you are so sweet!! thank you so much! I hope you had a Happy Easter! This is outstanding! I am going to copy this for Christmas using snowflakes and blue jays instead of the eggs. Breathtaking! I've already been out looking for ginger jars and tablecloths and I just saw this picture three hours ago! Talk about inspiring!